At the end of 2017, EVRY, our parent company, and Infopulse won a tender to provide ICT services to one of the world’s leading suppliers of industrial solutions on basis of steel conveyor belts. A company with a multitude of locations across the world, our client has a full production cycle: development, automation, and support of conveyor and processing solutions with engineering and production capacities in Europe, Asia, and North America. This may sound like another common success story, but with a catch. This time, we needed to help one of the offices based in Japan. Go to a far land, surpass the expectations and deliver extreme quality service within 2 days – what could possibly go wrong? 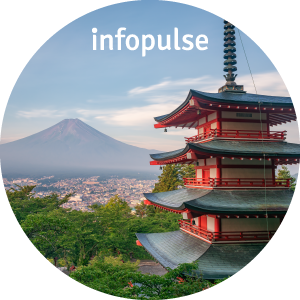 Read on to learn how Infopulse team organized IT infrastructure for the new offices from the very ground up, migrated legacy services to the cloud environment and dealt with unexpected technical difficulties in the office of the client’s branch in Japan. 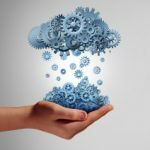 While performing cloud migration and rebuilding legacy infrastructure may sometimes set unexpected challenges, building the whole IT infrastructure anew is in most cases a plausible and rewarding task. However, everything depends on the timeframes. Our customer (under NDA) wanted to build their IT Infrastructure according to the “Born in the Cloud” concept. The plan was to move from an MPLS-based network to a full-mesh WAN, a server and an application in Azure and AWS, as well as deploy workstations with Windows Autopilot and introduce management of all devices and applications by means of Microsoft Intune. That’s how the task looked like when the customer’s management turned to EVRY and Infopulse for assistance. Hewlett-Packard, with which Infopulse is collaborating on this project, saw some equipment logistics issues on the remote site. Therefore, for this project, we needed to engage a local distributor in Japan. That’s when the first bell rang. While the local distributor delivered assets on time, they reinstalled the operating systems without agreeing on that with the customer and the project. In order to resolve issues with new workstations, the Infopulse Expert IT Engineer (MS SCCM) had to fly urgently to Japan and solve the arising issues on the tight schedule. While based on the contract we didn’t initially agree on providing support onsite, there was another reason why our specialist’s presence on site was required. With hardware in place, approximately 99% of this project could be carried out by our experts remotely. However, when building a cloud infrastructure, you always come to the stage when the remaining part of the job has to be done onsite. Setting up users’ workstations requires running a number of scripts. In most cases, users can do this task easily on their own. This could be a nice plan… but not in this case. The Japanese management did not want to make their employees perform some IT-specific tasks. At the same time, deployment of new infrastructure in the Japanese office had to be completed within the schedule, calling for our direct participation onsite. That’s why the customer’s Head of Workspace Services from EU office arrived in Japan as well. Together with our expert, they worked hard for two non-working days configuring the workstations. The bets were very high – all operations and processes of the Japanese office had to be up and running within the newly installed cloud infrastructure on a new business-day – without any delays or interruptions. And of course, there’s always more than meets the eye. 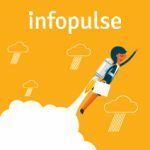 Infopulse implemented the workstations management process in close collaboration with Microsoft – by means of MS Intune and Windows Autopilot. According to this process, all data is saved on cloud servers. Users could select the region and language in the boot, while all the subsequent actions were carried out automatically. And when the customer decided to add a switch to select between Japanese and English for OS language, they made changes to the workstations without meeting the process requirements, removing HP Recovery Service sector and Japanese language from the OS completely. Then the troubles started growing like a snowball. After reinstalling operating systems, workstations fell out of the standard process designed for this project by Infopulse, Microsoft and Hewlett Packard. That’s why, besides finalizing the workstations setup, our experts had to ensure that the whole process would run correctly from A to Z. To make Autopilot work, we needed to import Hardware ID (unique for each workstation) into Microsoft Intune. Only then, the device would understand that it belonged to the company and with the help of Autopilot could become a part of the new infrastructure. 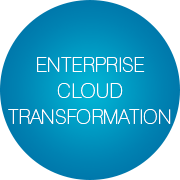 While looking delusively simple and being not too complicated technically, this cloud migration project has become a real challenge for both Infopulse, our client and partners. Debugging all the applications required by the customer without physical data storage databases was no easy task. Less than a year has passed since Microsoft presented the cloud environment we were working with. Since the platform is relatively fresh, the updates and changes to it are rolled out on an almost daily basis. Microsoft team worked closely with Infopulse, providing advice and support to ensure that everything worked out smoothly. People in different parts of the world united their forces to solve all the raising challenges in just two days before the deadline. For the moment, the cooperation with our client has moved to the stage of project support, e.g., improving the Service Desk and finalizing some other bits and pieces. The main processes have already been tuned up, and everything looks good so far. We’ve won the battle, but did we win the war? If the client’s office migrates to another location, everything should be set up again, from printers to all core business systems and applications required for the industrial production. As Martin Luther King, said, “The ultimate measure of a man is not where he stands in moments of comfort and convenience, but where he stands at times of challenge and controversy”. And in the end, all the challenges we go through only make us stronger. Infopulse provides the widest range of enterprise-level Managed Cloud and IT Infrastructure Services: from consulting and support to full-scale IT Operations, on-premise IT Infrastructure to Cloud migration, and IT Assets management.